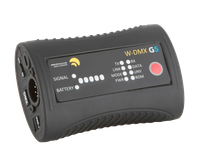 The W-DMX™ BlackBox G5 is our most popular of the series, using our patented Adaptive Frequency Hopping technology to automatically avoid interference created by other wireless networks, for example W-LAN, wireless intercoms, stage automation systems and more. 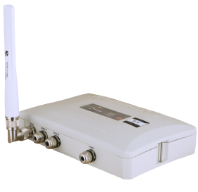 G5 supports 2.4GHz, 5.2 GHz and 5.8GHz frequency bands, these triple-band units have full RDM support in transceiver models, and even the most complex installations can be configured wirelessly. With simple slot adjustments, the BlackBox can be integrated into larger, more complex installations. 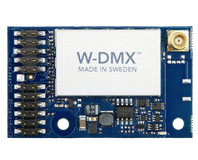 The W-DMX™ WhiteBox Transceivers are the perfect weatherproofed solution for Wireless DMX transmission, as part of our architectural/outdoor range. 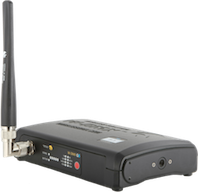 G5 supports both DMX and RDM signals, in 2.4GHz, 5.2GHz and 5.8GHz frequency bands, giving access to more channels and providing world-renowned reliability. Built into a tough, IP-66 rated casing, the WhiteBox series are built to withstand the elements. The W-DMX™ ProBox F-2500 is our top of the line, 2 universe transmitter/receiver and 1 universe Repeater, all in a single box 19” rack unit, with built in support of Ethernet lighting protocols, including Art-Net and Streaming ACN. 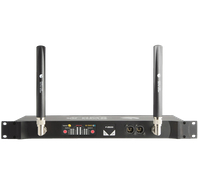 Designed for the large scale touring and rental market, as well as the installation market, the unit supports 2.4GHz, 5.2 GHz and 5.8GHz frequency bands, as well as full RDM support and interference free Adaptive Frequency Hopping technology that automatically avoids interference created by other wireless networks. The Micro series are the most compact, battery-powered, W-DMX™ transceivers and receivers available on the market today, with all the features of the popular BlackBox, excluding Triple Band Technology. Micro products are built into a rugged slimline casing with USB power, and mounting options for a variety of locations and structures. The Micro is ideal for smaller events and venues, where space is a concern. 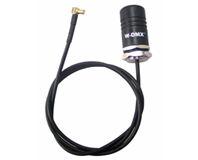 The W-DMX™ OEM Program does not only include a complete range of radio cards, but we also keep a complete range of suitable antennas and cables to match our stock of PCBs. On top of this, we also support customers with bespoke solutions, offering both the cable and antenna solution for different applications.